DIY Income Investor: Yield? 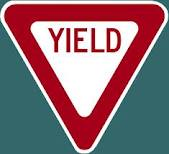 What Yield? A DIY Income Investor is interested in two main things for any investment: yield and risk, highlighting that greed and fear rule most of our financial decisions! Here's a question: would you buy a corporate bond with an income yield of over 9%? I guess most people would say: yes please, assuming they can be reasonably sure that their money will be safe. However (as you have already probably guessed) this might not be the best decision - more information is required. The problem arises with fixed-rate securities that involve 'redemption' or the return of the nominal value of the investment at a fixed date. These investments include most corporate bonds, gilts (government bonds), some preference shares and similar securities. And here's the thing: what is the relationship between the redemption value, the 'face value' of the security and the price you paid for it? Usually you won't have to calculate this yourself - most platforms (e.g. Bondscape) giving security prices will give this value. A nice income yield but a low redemption yield. Should you buy or not? Too easy isn't it? Why would you want to invest your money at a return that is way less than current UK inflation? Essentially you would be buying the future annual returns with some of your capital. So, look at the different yields when there is a redemption involved. Many 'funds' will offer high yields achieve this with a high income yield - but by eating your capital. Well, do you think that the bank will replace this relatively expensive loan with some of the cheap money that the government has been flooding the market with? Clearly the market does. And, by the way, mea culpa - I've been holding this very security for a while and have finally realised I need to sell it! D'oh! I found your article really useful. How did you find out that the redemption yield was so different from the income yield? Usually the two numbers are published. The trick is understanding why they are different!